← Heppner Gazette-Times now online, 1923-1951! 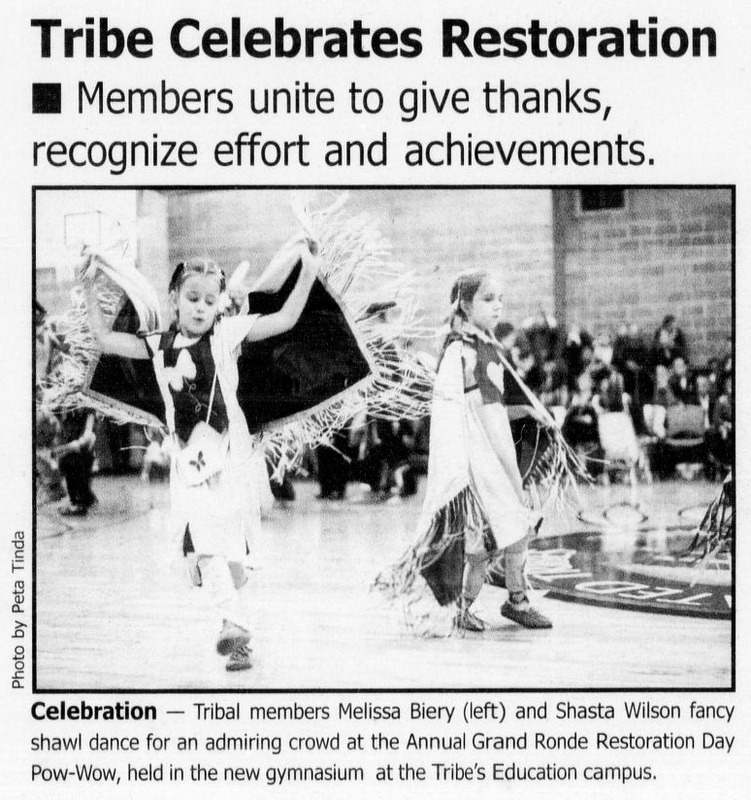 Smoke Signals, the current newspaper of the Confederated Tribes of Grand Ronde, is now available for searching and browsing online with issues dating from 1978-2013. Smoke Signals started off as a monthly tribal newsletter in the 1970s as the Tribes were organizing to restore their tribal status, which had been terminated by the federal government in 1954. 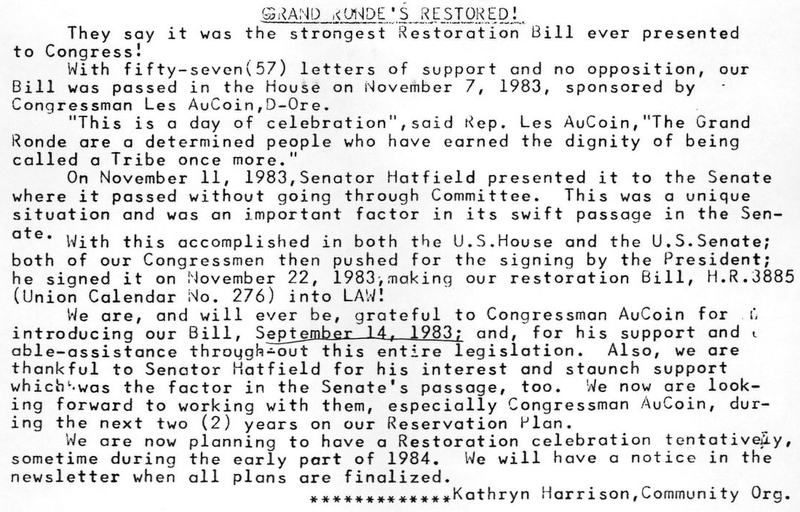 The U.S. Congress passed the Grand Ronde Restoration Act in 1983, restoring federally recognized status to the Tribes. In 1995, the paper started appearing twice a month, and in 2005, Smoke Signals became part of the Tribes’ Public Affairs Department. During its lifetime and through numerous staff changes, Smoke Signals has won many journalism awards from the Native American Journalists Association and Oregon Newspaper Publishers Association. The majority of issues from Smoke Signals were scanned from microfilm negatives at the University of Oregon (UO) Libraries, but the Tribe scanned and provided several early issues that were missing from the UO Libraries’ microfilm collection. 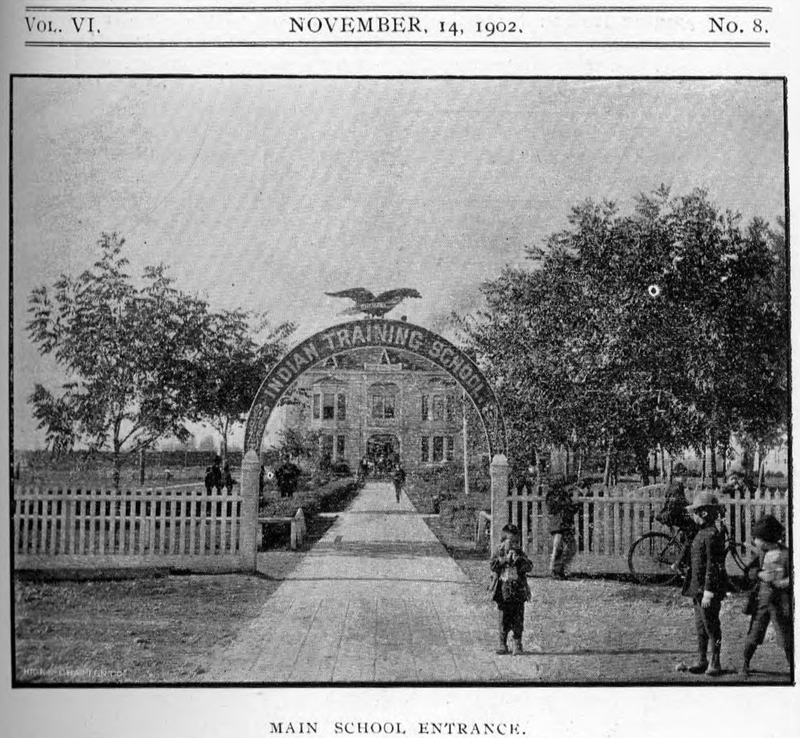 The Weekly Chemawa American, available online from 1901-1910, featured news articles, literature, and photographs by students who were attending a journalism class taught by staff of the Chemawa Indian Boarding School. The paper covered school news, student achievements, and events, and reported on interesting articles and topics found in various newspapers, such as the Oregonian, in addition to student editorials. 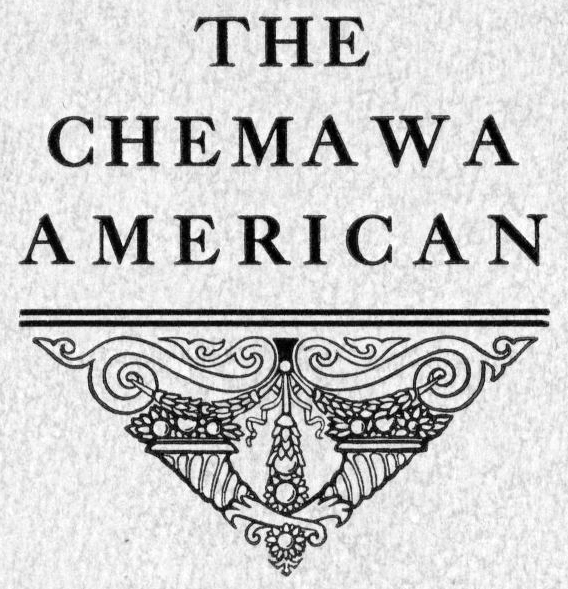 By late 1914, the publication shifted to a monthly schedule, dropping “weekly” from the title to become The Chemawa American, now available online from 1914-1915. Chemawa Indian Boarding School is the oldest continually operating Indian Boarding School in the United States, established in 1880 by the Bureau of Indian Affairs in Forest Grove, Oregon, and then moved to Salem in 1885. The school has hosted students from throughout the western United States, including special groups of Alaskan natives, Navajo Indians, and in the earliest years, primarily students from Oregon’s tribal reservations. The school is still in operation today under management by the Bureau of Indian Affairs. All issues of the weekly and monthly Chemawa American were carefully scanned from the original paper documents, borrowed from the Cultural Exhibits and Archives program of the Confederated Tribes of Grand Ronde, where they are housed as part of the Charles Holmes collection. Charles Holmes was a teacher and the student newspaper advisor at the Chemawa Indian School from the 1950s – 1970s, and the collection includes thousands of photographs, correspondence, media, and other documents. 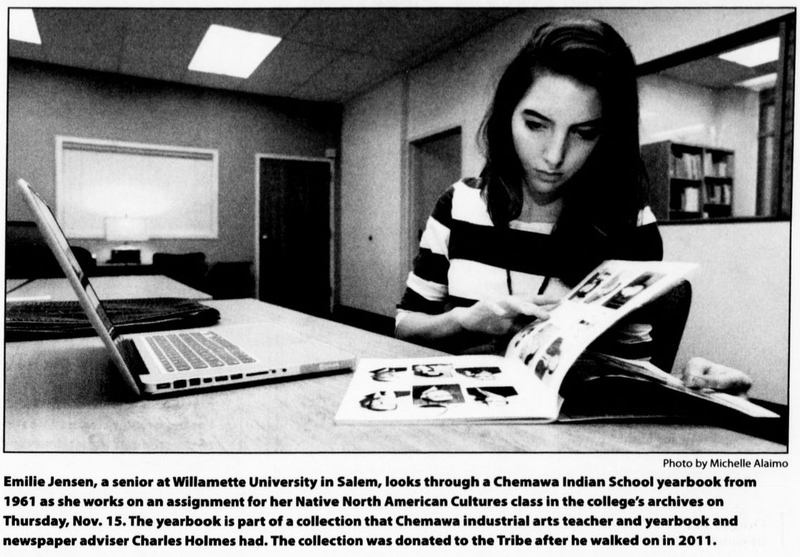 Students at Willamette University have been working to catalogue and archive the many photographs from the Chemawa Indian School that are part of the Charles Holmes collection, led by archaeology professor Rebecca Dobkins in collaboration with the Tribes (read more about this project at http://www.grandronde.org/news/articles/dobkins-tells-chemawa-indian-school-stories-at-salem-library/). Special thanks to the Confederated Tribes of Grand Ronde, as well as Jennifer O’Neal, University Historian and Archivist at the University of Oregon Libraries, and David Lewis (CTGR Tribal Historian), for facilitating this significant digitization project!